COLUMBUS, Miss. 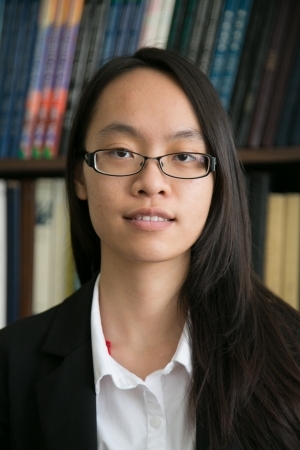 -- Meng Yan Wu, a senior majoring in accounting at Mississippi University for Women, was awarded an undergraduate scholarship from the Education Foundation of Mississippi Society of Certified Public Accountants (MSCPA). Yan Wu, who is from China, is one of 11 students statewide to receive the award. The Foundation was created in the early 1970s to promote accounting education in Mississippi colleges and universities by helping students pursue a CPA career. The Foundation awards scholarships each year to accounting college students who have made a commitment to become a CPA. The scholarships are awarded after applications are submitted by the Mississippi universities/colleges. The selection process for this scholarship is based on academic excellence (minimum of 3.0 GPA both overall and accounting), campus involvement, faculty recommendations, written essay, scholarship application and financial need. “I felt very blessed and very happy when I found out that I received this scholarship, and I used it for my tuition. This scholarship will help me to have enough money to afford my higher education and will lead to me obtaining my CPA,” said Yan Wu. Founded in 1920, MSCPA is the largest professional organization serving the needs of Mississippi CPAs and aspiring CPAs. With a membership of more than 2,600, MSCPA represents the majority of Mississippi CPAs in public practice, business & industry, government and education. For more information about the MSCPA scholarship, please visit https://www.ms-cpa.org/about/education-foundation.